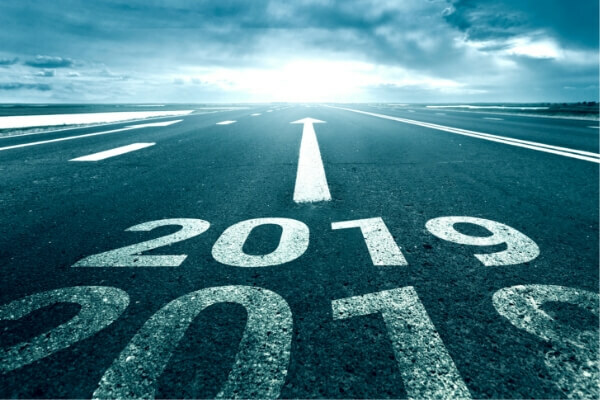 What Did Psychics Get Right in 2018 and What’s in Store for 2019? Which Predictions for 2018 Came True? What&rsquo;s in Store for 2019? What Are Psychics Predicting for 2019? Psychics can’t predict lottery numbers or the exact date of when you’ll meet your soulmate. They can’t see your one true destiny, because the truth is we have many paths available to us. But they can leave us with a timeline of when significant events could occur. But do their powers extend only to individual paths? What if psychics could have predicted the sinking of the Titanic, a hurricane that would leave a US territory completely devastated and without power, or that a cure for HIV is coming? Turns out, many gifted psychics have predicted world events from natural disasters to political developments to celebrity news. Here are the famous mediums and their even more notorious predictions. Manhattan Medium, Thomas John, correctly predicted Hurricane Maria, the Paris terrorist attacks, and the downfall of Harvey Weinstein. Although he died in 1945, psychic Edgar Cayce foresaw one of the most tragic events in American history, the assassination of President John F. Kennedy. Cayce is well-known in certain psychic and historian circles, and was one of the most famous psychics during the 20th century, as he also accurately predicted 2 world wars. “Ye are to have turmoils, ye are to have strife between capital and labour. Believers point out that Cayce’s prediction would later unfold in American history, as it speaks both to President Franklin Delano Roosevelt’s death in April 1945 and JFK’s assassination in 1963. The conflict between labor and capital is said to have appeared during the 2016 US election. English psychic Craig Hamilton-Parker made several predictions that came true in 2018. Though he admits on his youtube channel that he sometimes gets his predictions wrong, he has a history of correctly identifying events as well. Which of his predictions did come true? Prince Harry and Meghan Markle’s engagement announcement (kind of). Though Hamilton-Parker made his prediction on November 1st and the royal couple officially became engaged on November 27, it seems the psychic was able to see their future nuptials. He also predicted that a large chunk of Antarctica would break away, which also came true, just days after his prediction. Psychic Medium Susan Rowlen predicted that the retail market would take a heavy hit, and Toys”R”Us, Best Buy Mobile, Claire’s, and Macy’s were among some of the retailers that have closed their doors in 2018. She also predicted that the world would see many incredibly generous philanthropy donations in 2018 for various causes, with many focusing on tech. According to Recode, the Omidyar family (who founded eBay), Connie and Steve Ballmer (who succeeded Bill Gates as Microsoft’s CEO), Evan Williams (Twitter’s cofounder), and Lynne and Marc Benioff, (the Salesforce CEO) were among donors who donated more than $100 million in 2018. Job growth will even out across the US in 2019. Previously booming cities will see job gains slow down and smaller communities amp up. Even the best psychics admit they’re not always correct in interpreting and understanding what they see in their visions, yet still, millions of people trust and depend on the readings from mediums all around the world to unpack what’s going to happen, not only in their future, but around the world. From predicting the fate of US presidents, to environmental disasters, to the weddings of royals, to the outcomes of athletic competitions and championships, it’s hard to deny that some predictions have been surprisingly accurate. So will any of these predictions for 2019 come true? We’ll have to wait and see to find out.